Viva Las Vegas - for your phone! 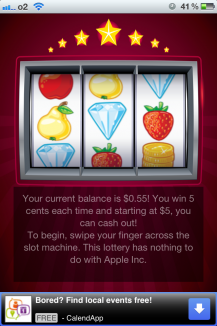 Play our slots for free, without having to put your own money in the slot, and win real money! 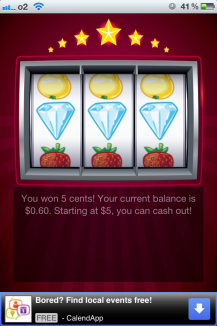 Every time you win, you get credited 5 cents onto your account. The more often you play, the more money you can make. Starting at 5 Euros, you can cash out! Simply enter your address and you get your money by mail. 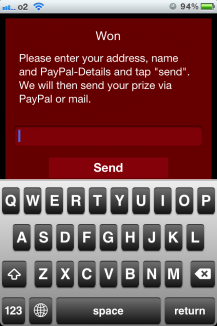 Or simply have your money transferred to your PayPal account! What are you waiting for? Our slots are calling you! Every user can cash out 1 time maximum.